Originally published in 1995. This study collects and analyses the results of hunger studies carried out in the United States during the 1980s, whether national, state or local. 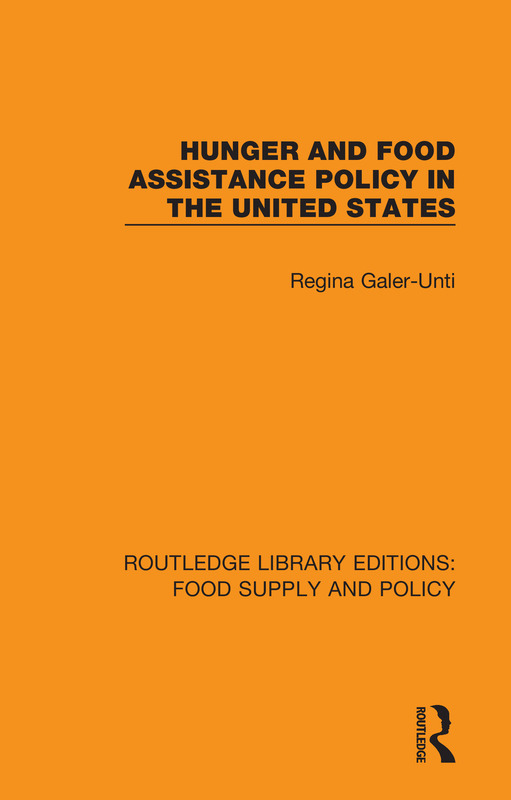 It also reviews the history and development of food assistance programs and policy. This is an unusual and fascinating study of public health policy which employs meta-analysis to investigate the sociodemographic factors affecting those seeking food assistance and draws recommendations for future studies and to feed into policy decisions.